Visit our Brentwood Showroom, Houzzers! 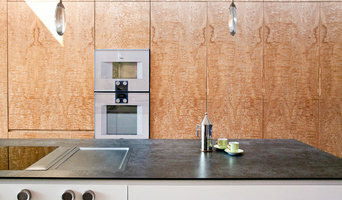 Powell Picano is a London based company specialising in bespoke kitchens and furniture. Since 2013 we have been producing the highest quality fully bespoke handmade furniture from our workshop and studio in north london. 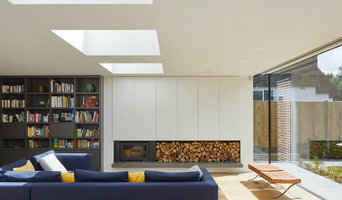 We work closely with clients including architects, designers and home-makers to realise projects in both domestic and commercial environments. Our specialist team of cabinet makers and designers will guide you through the entire process from initial design through to installation and aftercare and help you make the right decisions that will suit your individual requirements. Why should I hire a Bulphan, Essex cabinet maker? Cabinet makers are skilled craftsmen who can design, make, rework and repair cabinets and cupboards. They can create bespoke storage or kitchen units for your home that meet your needs and fit with your interiors. They can also advise you on materials and cabinetry styles if you’re not completely sure on the design yet. With the right bespoke cabinet makers in Bulphan, Essex, no cabinetry job is too difficult, so even if you have a tricky corner space that you want to utilise, a Bulphan, Essex cabinet maker can create a cupboard to your specifications. Bespoke cabinet makers are more than just bathroom or kitchen cabinet manufacturers and they can be commissioned to create storage cabinetry around the home. Bespoke TV cabinets are in popular demand due to the variations of TVs, consoles, digital TV boxes, DVD players and other items that we want to keep near to our televisions. Skilled cabinet makers in Bulphan, Essex can create a one-of-a-kind TV cabinet or media centre to house all your entertainment goodies. If you already have cabinets or cupboards that you’d like to keep, but they’re just in dire need of a facelift, then bespoke cabinet makers may be able to help, too. You may wish to replace kitchen cabinet doors, give your cupboards a new colour, add decorative elements or use a special finish; whatever the cabinetry task, ask cabinet makers in Bulphan, Essex if they can help you. If you need the help of a cabinetry professional when renovating a home, make sure they are happy to work with any other professionals working on the project. Here are some related professionals and vendors to complement the work of cabinet makers: Kitchen & Bathroom Designers, Kitchen & Bathroom Fitters, Interior Designers, Home Storage Designers & Professional Organisers, Carpenters & Joiners. How long have you been cabinet makers in Bulphan, Essex? Find a cabinet maker on Houzz. 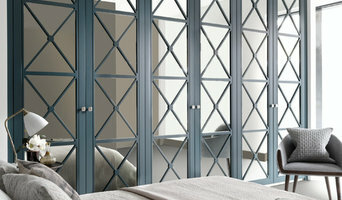 Narrow your search in the Professionals section of the website to Bulphan, Essex bespoke cabinet makers and cabinetry. You may also look through Bulphan, Essex photos to find examples of cabinets that you like, then contact the cabinet makers in Bulphan, Essex who worked on them.